One of the first questions asked when friends see a picture of Maya Bay is 'Where is Phi Phi island?'. When people see the sheer verdant cliff of the sea walls, the aqua marine of the beaches around the dazzling sun kissed sand and glimpse the coral beneath the surface they are automatically thinking 'when am I going to make it there myself. 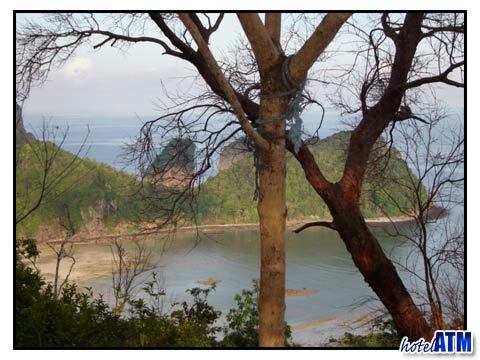 Where is Phi Phi island?, but 'where is she?' is the continual refrain. The simple answer is that Phi Phi Island is on the south western corner of Thailand on the Andaman Sea, part of the Indian Ocean. This is worth emphasizing as the majority (90%) of the Thai seaboard is on the east coast in the Gulf of Siam part of the greater Pacific Rim. The popular tourist centres of Bangkok, Pattaya, Koh Samui and Koh Phangan are on the eastern 'Gulf of Siam' and Phi Phi Island, Phuket, Krabi, Koh Lanta , Phang Nga Bay Khao Lak are on the west. 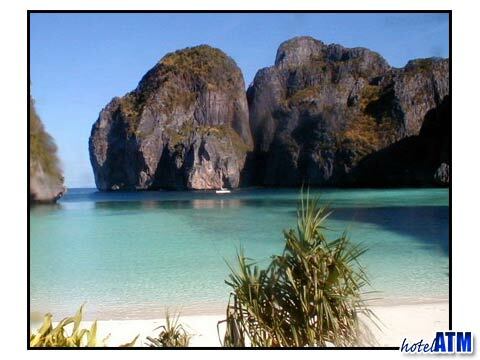 Where is Phi Phi island for diving. Phi Phi Island diving is some of the best in Thailand because it has such a natural setting. Phi Phi Dive sites are highly varied with a very high number of marine species due to the mixture of rocky out crops, swim through, wall diving, wreck diving, cave and deep diving sites as well as some of the more famous dive sites like at Maya Bay. Phi Phi Diving is very different to the diving on the eastern coastal waters of Thailand of Koh Tao or Koh Phangan, as it is part of the Indian Ocean eco system. For such a small island, Phi Phi is packed full of adventure. Where else could you spend a week doing as much as on Phi Phi without the use of a car (Phi Phi has no cars as it is so small). You can dive or snorkel on 20 km of reef and coral garden. You can snorkel with the Black Tip sharks, cliff jump, kayak tour, jungle trek or just sit in amazement under the cliffs at Tonsai or go on a sightseeing tour of Maya Bay. In the evening the cafes, restaurants, bars and beach clubs are a whirlwind of fun. Phi Phi Island has 4 luxury resorts where you can bask in style and appreciate this memorable island. The 5 star Zeavola Phi Phi Resort, the 4 stars Holiday Inn Phi Phi Island and Phi Phi Island Village Resort And Spa are on the small beaches of Laem Tong and Loh Bagoa, 5 minutes speedboat ride from the main pier at Phi Phi Don Village. The 4 star Phi Phi Island Cabana Hotel is right on the pier under the cliffs, nestled between 2 famous bays. Phi Phi has over 60 resorts, hotels, hostels, guesthouses and dormitories offering a huge spectrum of choice. Most of the beachfront resorts are 2 and 3 star bungalow complexes and there are some excellent non beachfront places to stay run by the Phi Phi hotel group. For more on budget and bargain accommodation see the Phi Phi Hotel directory or Phi Phi Hotel Deals where there are offers of Fixed Night Promotions, Special Discounts, Early Bird Offers Honeymoon offers. HotelATM.com and phi-phi.com have a unique Free night special for all accommodation for anyone who stays over 15 nights and this can be found on each hotel fact sheet page in red at 'Free Night Special'.